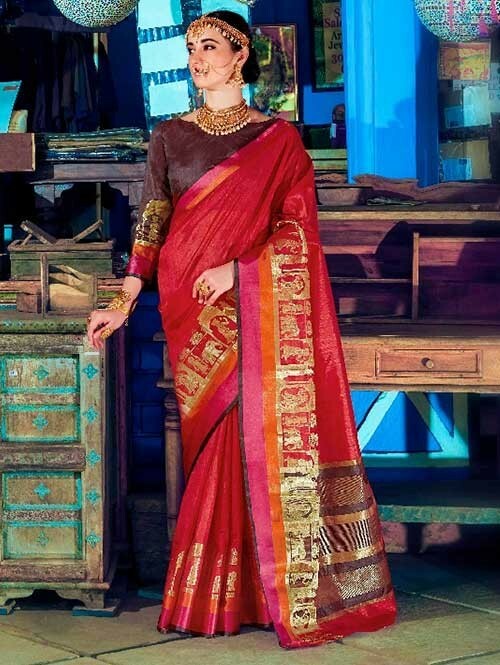 Rich And Elegant Looking Color Is Here With This Saree In Navy Red Color Beautiful Handloom Waving Silk Paired With Matching Blouse. 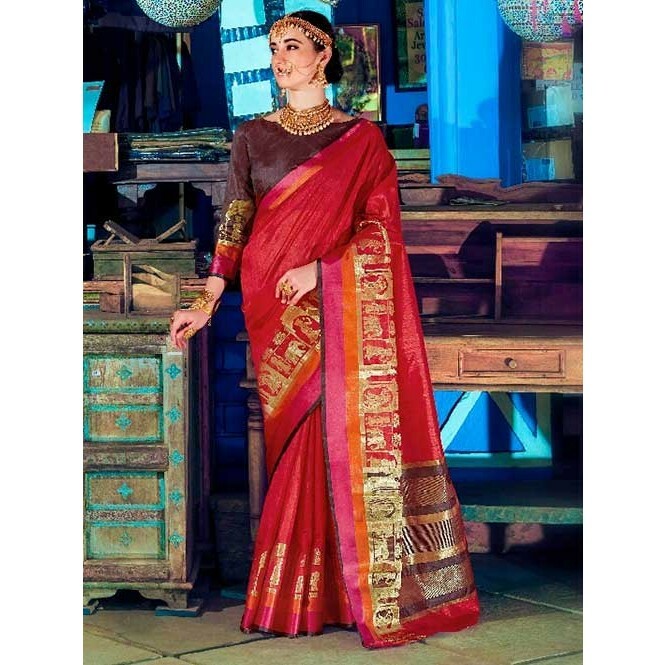 This Saree And Blouse Are fabricated On Silk Which Is Light In Weight And Easy To Drape. Also It Is Durable And easy To Care For.